When your loved one is at Backus Hospital, you can rest assured that they are in good hands. It is always a difficult experience when a friend, family member, or other loved one is hospitalized. It is our goal to help you feel less stress and be at ease. This section of our website will help you to find all the necessary information to make staying with a family member or visiting a loved on at Backus Hospital as easy as possible. Children under 16 years old must be accompanied by and adult at all times. Visitors should enter at the main entrance, except after 8 p.m. when they should enter through the rear emergency department entrance. Clinical reasons may preclude visitation in some circumstances. Due to the possibility of medically controlled diets, visitors should check with a nurse before bringing candy, liquids or food to a patient . 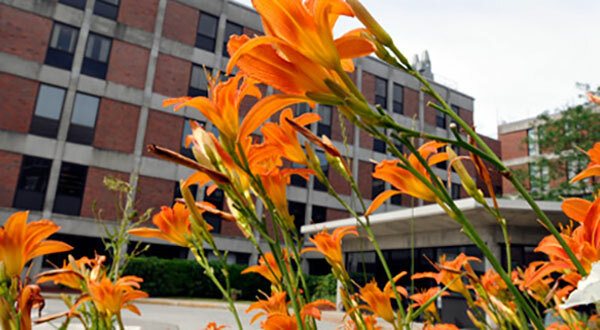 Flowers and Mylar balloons are permitted in most hospital rooms, except for the Critical Care Unit . Latex balloons are prohibited for safety reasons. People with infections, colds or rashes should not visit. Noon to 8 pm daily after delivery. Grandparents and other visitors may visit outside the normal visiting hours at the discretion of the patient in consultation with a nurse. Up to three support people may e designated by the patient, including the father of the baby. Support people may be present 24 hours per day until after delivery. One coach will be identified and this is the only person allowed to stay overnight with the patient after delivery. The CCU is flexible according to the needs of its patients. All visitors are required to call into the Critical Care Unit before entering. When there are multiple visitors, the ED staff will encourage families and visitors to designate a representative for the group. All other visitors will be directed to the waiting room. There are some instances in which all visitors must be in the waiting room. 7-8pm, Monday through Friday; 1-3pm and 7-8pm on weekends and hospital holidays. Patients may have two visitors in their rooms until they leave for surgery and, at the discretion of the nurse caring for the patient, upon their return from PACU (recovery room). Children must be accompanied by an adult. Visitors are to wait in the reception area while the patient is in surgery. The cafeteria is open from 6:30am to 6:30pm. No hot food is available from 1:40 to 5pm. The cafeteria is on the ground floor in the E wing.